This little series of digital paintings made with ArtRage for the iPad is coming to an end. I have. Vintage 60’s Jag, and the Brabham Martini F1 started. I hope to finish by January 1, but realistically it might not happen. Each one of these take quite a bit of time to research, sketch, create the detail drawing, and then paint out, so if the Brabham isn’t done by the end of the month I hope you’ll understand. 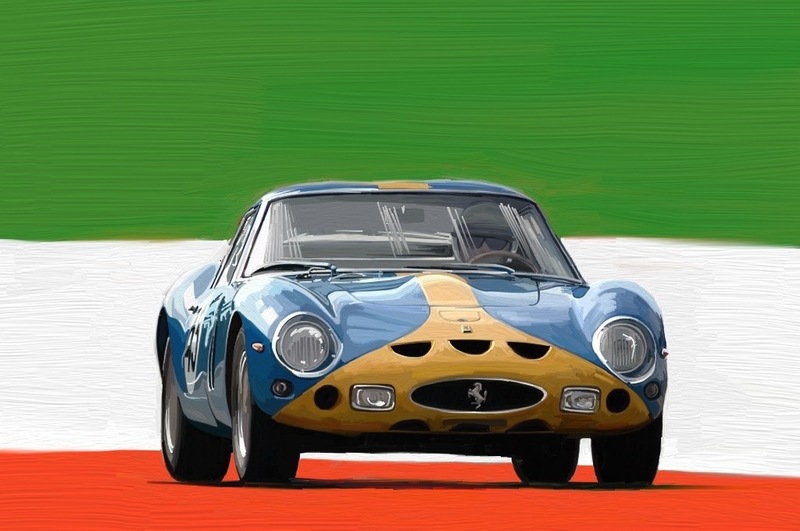 Today’s ArtRage Motor Sports auto is a classic early 60’s Ferrari, in non-Ferrari colors. Posted in Design and Art, iPad Apps, Postaday 2011 and tagged Artrage, Digital Painting, iPad, iPad Applications, postaday 2011, postaday2011 on December 30, 2011 by Author.